Many of you may have heard the term “kick point” or “flex profile” but what is it? 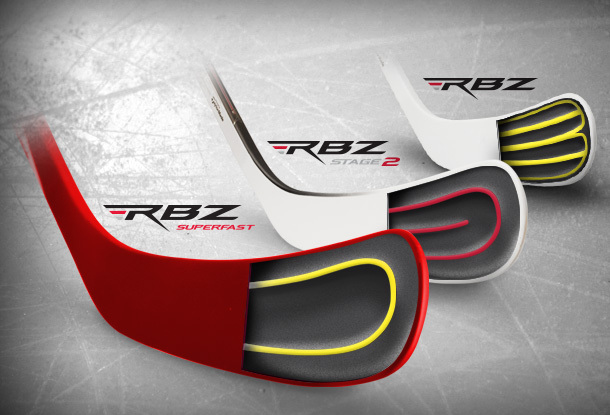 Composite sticks are made up of carbon fiber sheets with interlocking or overlapping fiber sheets, creating sort of a grid like pattern in the stick. This makes the stick durable and very strong. However, this hinders the sticks ability to flex or bend because the tightly packed fibers; they are otherwise too strong. To counteract this, they create a part of the shafts that is softer and able to flex while leaving some parts stiff. The stiff spot is called the kick point. The purpose of the kick point is so you get a consistent flex or, the same shot every time. This also adds performance for a certain type of shot depending on which kick point you have. All sticks in the past few years have a designated kick point. We see here, Steven Stamkos is loading heavily into this slap shot and the stick is bowed right at the middle. He is using a mid kick-point stick, the Bauer Supreme TotalOne to be exact. Here we see a shooter taking a wrist shot. You can see that the bottom of the stick is quite bowed but the top of the stick is relatively straight until you get to his top hand. This is a low kick point stick. 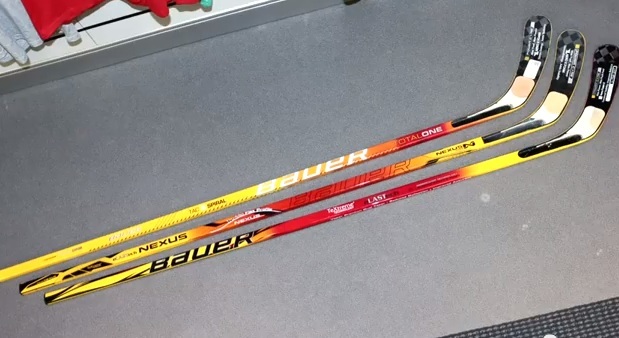 What do you do if your stick breaks? Which Kick Point do you Prefer? What Flex is Right For Me? 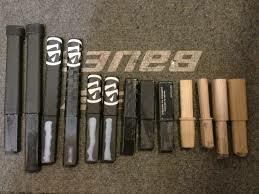 What is a good stick that is light for a beginner senior(very very senior). I can’t really answer that question. Hockey is all about preference so whats good for me may not necessarily be good for you. 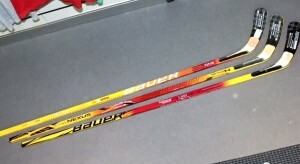 The best thing for you to do is go to your local hockey store and try some out and see which you like best. Ive been using the 1x Lite for a while now and I absolutely love it. I have a very quick release and my shot is pretty fast (about 50-60mph snapahot) but would getting say a nexus improve the how hard my shot is?. 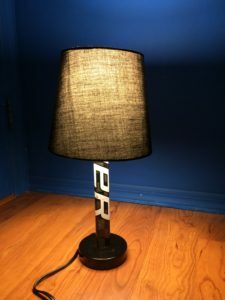 I use to have a tacks 7092 before I got a 1x lite. Also I typically take a drag style snapshot where you pull it in towrds your body.